A+E Networks is to begin the roll-out of a new entertainment channel in the UK on digital terrestrial platform Freeview and pay TV service Sky next month. Blaze will launch on September 20 as a free-to-air (FTA) channel and TV Everywhere service, offering live streaming and catch-up to viewers in the UK and Ireland. The channel will bring together existing A+E franchises such as Pawn Stars and American Restoration under a new brand that “celebrates extraordinary, determined and courageous characters,” the company said. Other series set to feature in Blaze’s launch line-up include Mountain Men, The First 48 and Unusual Suspects. 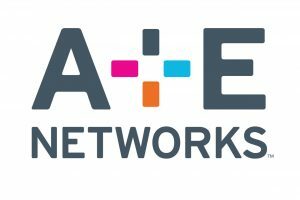 It’s A+E Networks’ first FTA launch in the UK, and follows the roll-out of Lifetime as an FTA channel in Turkey in April. The company’s UK channels portfolio already includes pay TV channels History, Lifetime, Crime and Investigation and H2. Move over, 4K – HDR TV is here, and it’s gorgeous	Sky Q what can you watch in UHD?